I feel great design should be a reflection of my client's personal styles. The space not only needs to look great, but it needs to be a comfortable yet functional space. It's my goal to find the perfect product for each client. My unique sense of style brings a fresh approach to any project. With a keen eye for putting colors and textures together, I am able to reach a perfect balance in the final design. 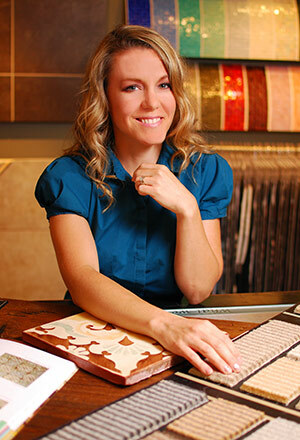 With 19 years of experience and knowledge of all types of flooring surfaces, combined with my experience as a mom, I love creating spaces that are practical and comfortable yet stylish and sophisticated, perfect for today's families.